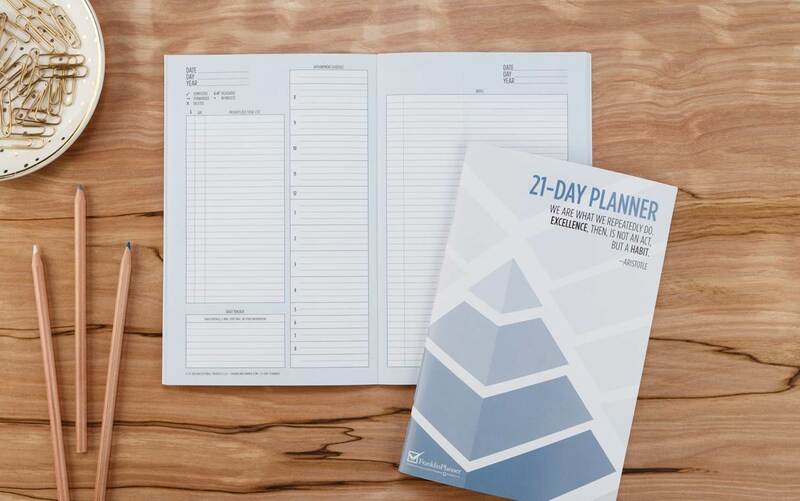 It takes at least 21 days to form a habit, and this specialized tool makes it easier than ever to develop the habit of planning. 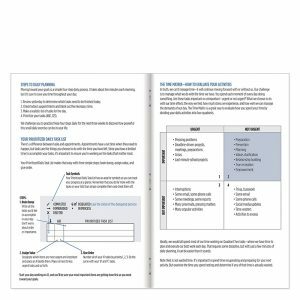 WHAT: The 21-Day Planner Challenge – This planner contains 21 days (3 weeks) of planning pages in both weekly and daily format, a Master Task List, Monthly Index, and a Monthly Calendar—along with explanations of how to use them. 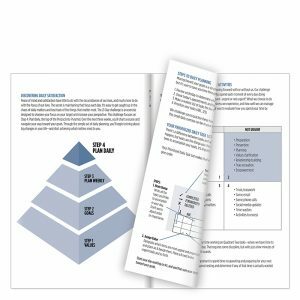 Plus, it teaches why and how to use your Prioritized Task List, reveals the secret of the Time Matrix, and gives a brief explanation of the Productivity Pyramid. HOW: Click here to get yours today! 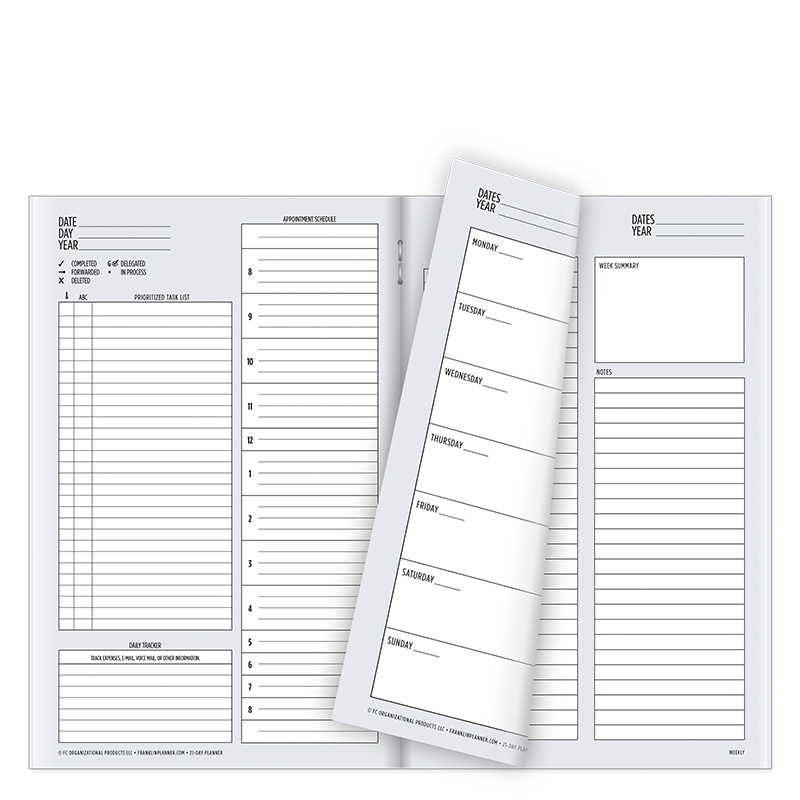 If you’ve ever said a paper planner is not for you, try it out before you turn it down. 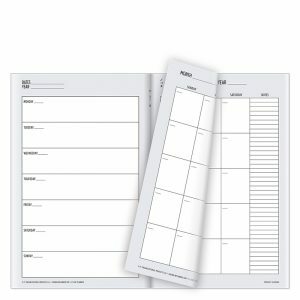 Do you have a friend that you think would like using a planner? Give them one! 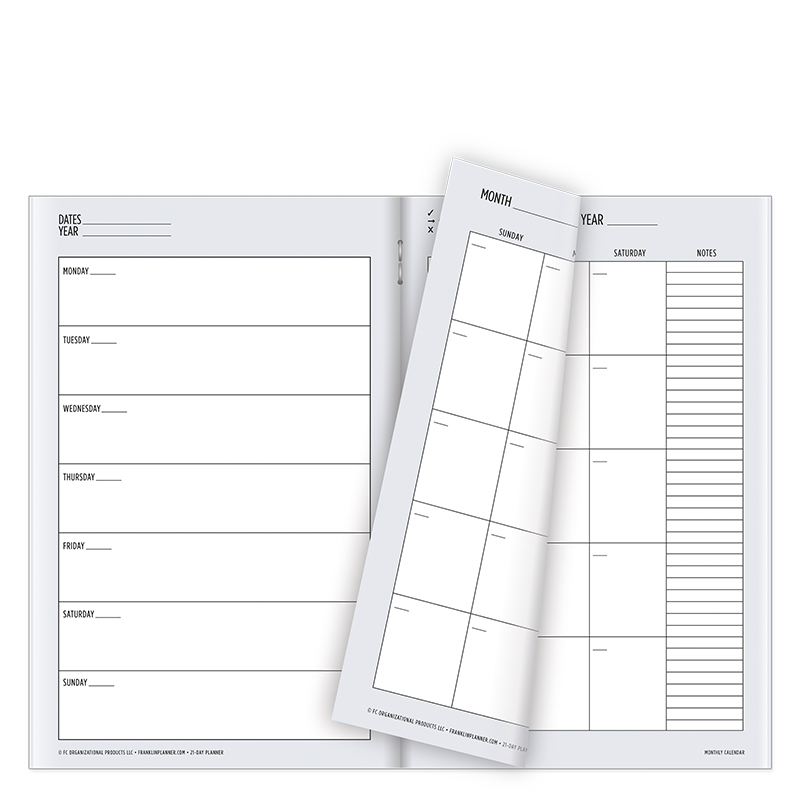 Maybe you’re already an avid planner user, but would like to try a different format – this 21-day planner has 21 days worth of BOTH weekly and daily formats. Perfect your system before you commit to a certain format! 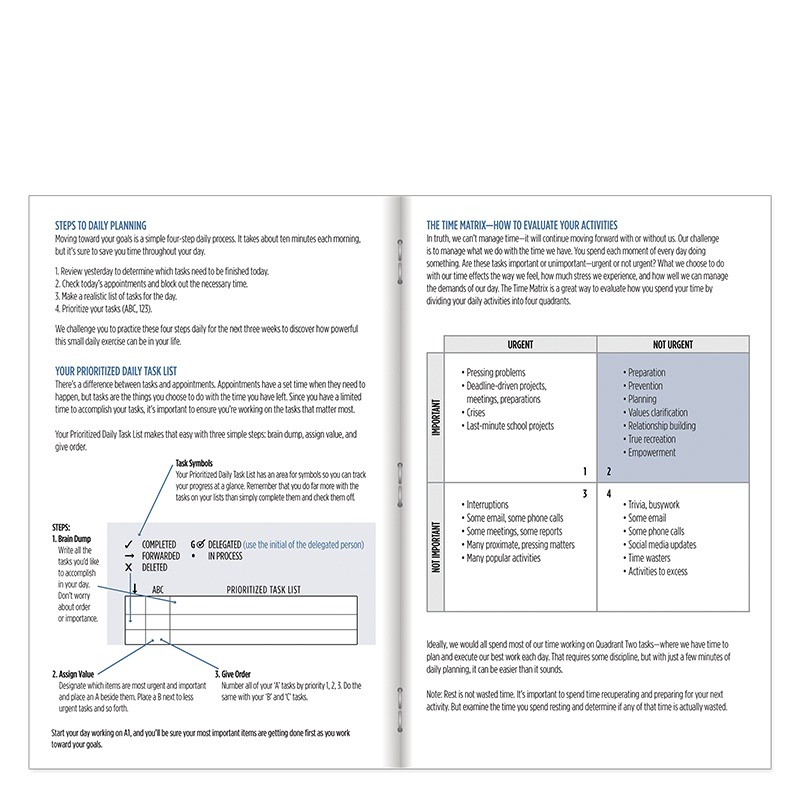 Learn the FranklinPlanner system (all the details are included in this 21-Day Planner) and practice it for 21 days! Turn a goal a habit – try it out, track your progress, and hold yourself accountable – 21 days is a good place to start. THE CHALLENGE: Try it for 21 days, and see how your life begins to change! Once you’ve done that and had an experience you’d like to share, send us a video, pictures, or a simply a story to [email protected]. WATCH: COMING SOON! Meet Becca and James! 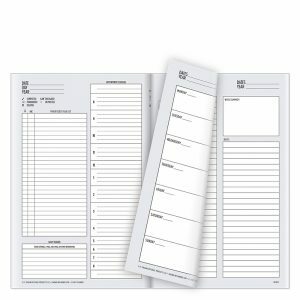 They are two new users that have never tried a FranklinPlanner before. 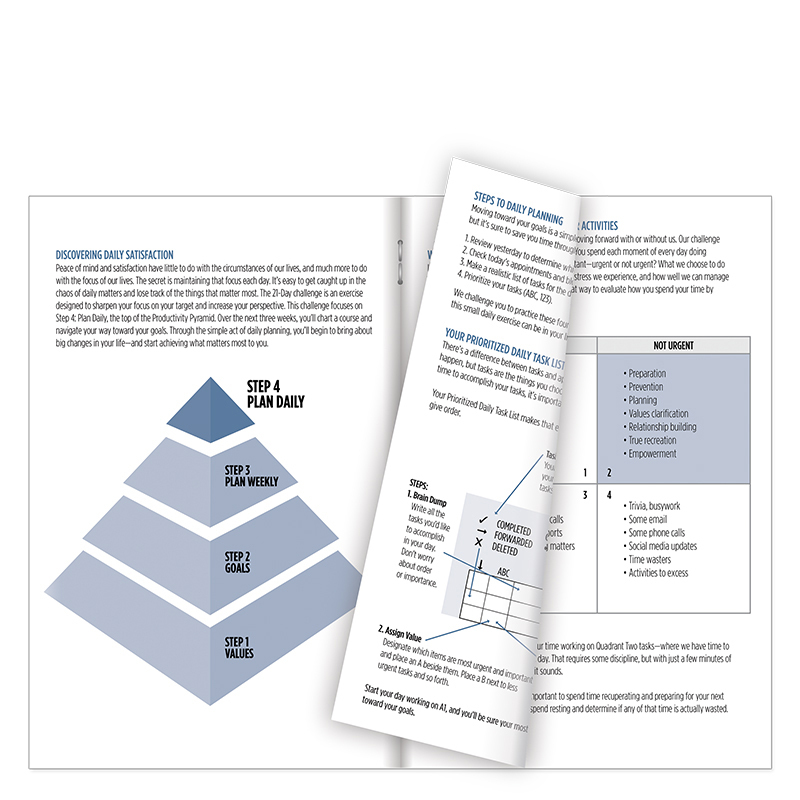 Watch their experience with a planner and check back for updates on their planner journey.